Bayview Garden Nurseries has been creating and installing award winning landscape designs since 1952. We strive to enhance the beauty of your home and yard by offering professional designs by our certified landscape architect. We provide an onsite comprehensive consultation in which we discuss your desires and goals and offer suggestions for possible design ideas. Our landscape architect will then create a design taking your needs, site conditions, environmental conditions and aesthetics into consideration. When your design is complete, you’ll come into the nursery to discuss the plan and see the plants that have been chosen for your landscape. 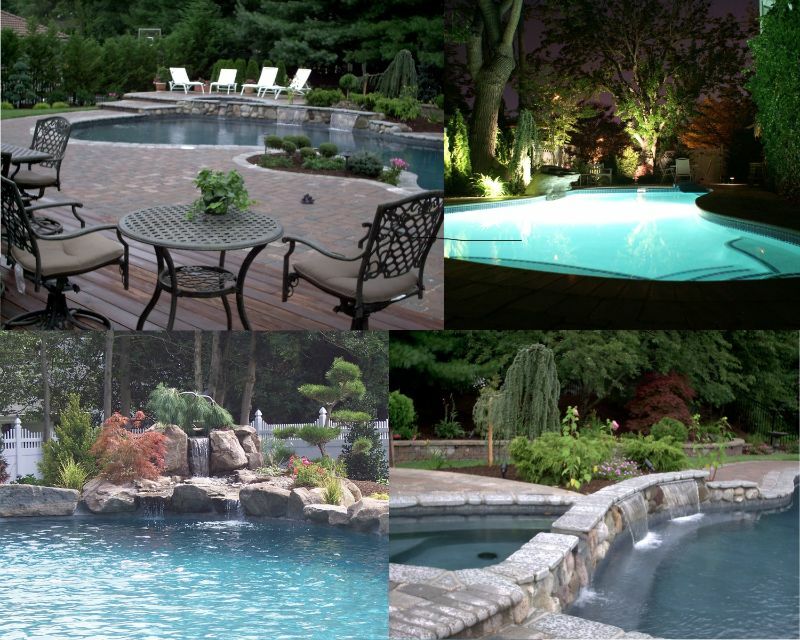 We believe in creating landscapes that compliment and awaken your senses and add value and enjoyment to your property. We work with you every step of the way to develop the landscape of your dreams. The knowledgeable staff at Bayview Nurseries works diligently to make your experience with us an enjoyable one. Every landscape we install must meet our standards of quality to ensure the Bayview name remains synonymous with pride and quality. Regular lawn and landscape maintenance is key in ensuring a long, healthy life for your landscape and thus the lasting beauty of your property. 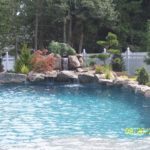 Bayview Nurseries can maintain your new or existing lawn and landscape so you have time to relax and enjoy your property without the burden of constant yard work. Your lawn makes a strong statement about you and your home. When your grass is overgrown, brown and full of weeds and bare spots, that statement isn’t a positive one. Tackling lawn maintenance yourself can be time consuming, frustrating and expensive. Without the proper equipment, knowledge and experience you can easily transform your property into the neighborhood embarrassment. With the help of the experts at Bayview, you can have a lush, gorgeous lawn without all the work. We know you can hire a neighborhood kid to mow the lawn, but the services we provide will far exceed the quality and expertise you’ll get from an amateur with a lawn mower. We have been maintaining Atlantic and Cape May County residential and commercial properties since 1952. When your lawn and landscape are well manicured, it’s not only an aesthetic victory; it’s also more enjoyable to spend time outside. We take customer service seriously. As a service provider, we value professionalism, experience, integrity and exceptional results that exceed our clients expectations. Call today for your commercial or residential property maintenance estimate. Our irrigation design service includes an onsite visit, consultation, and free estimate. We have the expertise and experience to design and install a system that provides proper coverage and efficiency on residential or commercial properties. We use the best available products to meet your lawn and garden needs. Irrigation Service and Repair – Whether your system needs to be activated, winterized, maintained or repaired, Bayview has the expertise it takes to get your system running properly. We can service your system even if it was installed by another contractor. Water features add qualities to the landscape that are virtually impossible to duplicate in any other form. Water can be calming, providing a gentle reflection of the world around it, or it can be a splashing, riotous point of interest. 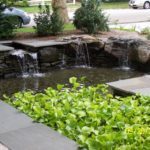 Water features can be contained in a small space such as a backyard birdbath, or it can spread wide and deep in ponds and waterfalls. Nothing quite captures the imagination like water. And for the gardener who has learned to “cultivate” it, water can change the focus and shape of the landscape. 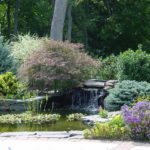 Your water feature becomes the focus from which other design elements – trees, shrubs, paths and statuary – radiate. Although an open, sunny location away from buildings and overhanging trees will provide the best conditions fro most aquatic plant, this placement may not be possible in many mature landscapes. There are other important aspects to consider as well, such as where you’ll spend most of your time gazing at it. Do you want to see it from your living room or is it something you want to enjoy while in an outdoor living area? Site selection can mean the difference between success and failure. Professional advice will lead to great results. Once you have a basic idea of what you want to accomplish, we can design your feature and advise you on plant choices and placement. Planned maintenance will mean years of enjoyment. Regular care of your water feature will keep it looking neat and greatly extend it’s life. Call our landscape design architect today and let Bayview Nurseries help you make your vision a reality. Hardscape elements are used to delineate space, provide structure and create focal points in your landscape. 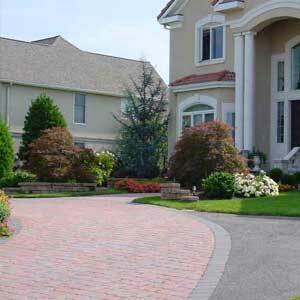 Hardscapes lend a timeless quality to any landscape as well as increasing the value of your property. Whether you know exactly what you want or just have an idea, we’ll work with you to design the outdoor living space you’ve always dreamed of. Come on in or give us a call. Let’s get started! When winter gets rough, we’re here to help. We offer snow removal, salting and sanding for residential and commercial properties. Don’t wait until you’re snowed in, call today for your free estimate. Why add more work to the already busy holidays? Let us install your holiday lighting for you. Our #1 goal is to take your vision and creatively turn your yard into a magical wonderland for all to enjoy. We use long lasting, energy efficient LED lights. Installation, take down and storage are all included.